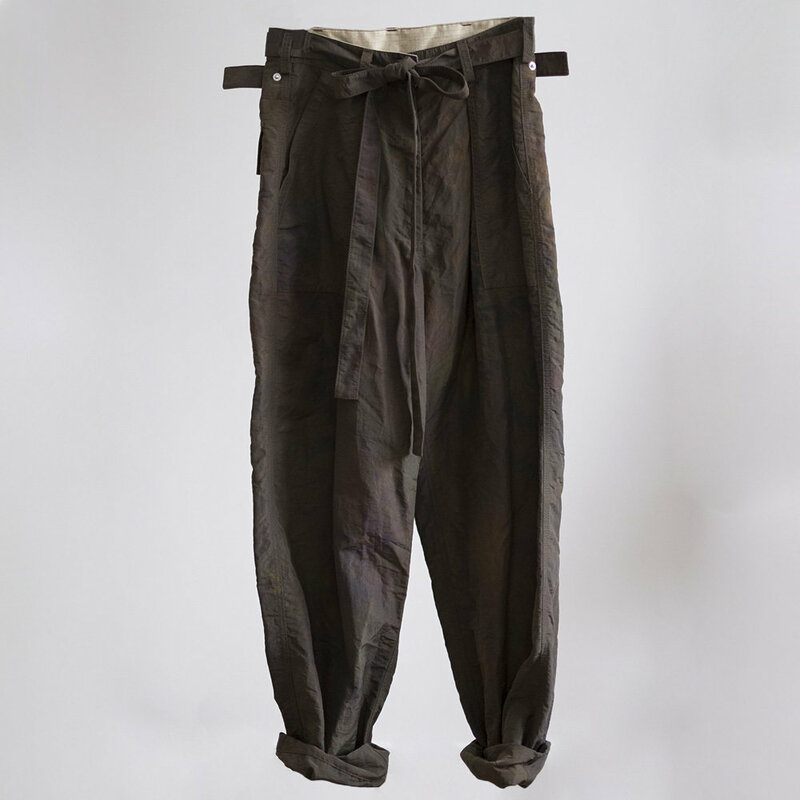 We have reworked our best selling W'menswear Battlefield Pants silhouette to make them even better for the winter. Available in a rad tie dyed Green jungle camo nylon these special pants are made from the highest quality Japanese fabrics made in small batch. Every piece is unique thanks to the special dye technique. Adjust the width of the hip with the snap tabs on the back, or pinch in the waist with the belt.